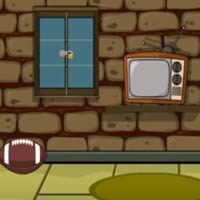 Clay Brick House Escape is the latest point and click escape game created by aVmGames.com. The concept of the game is to escape from the clay brick house escape. In this story, there is a house. The house looks very beautiful. Assume that, one day you have been trapped in the house by unknown people. Your mind says ,that you want to escape from the house immediately. But you didn't have any source to open the door. So use your intelligence to find the hidden objects and solve the puzzle to find the source and escape from the house. Good luck and have fun!